Any collector of the Imperial Light Horse would very much like to have these last two medals shown on here, myself included and I am sure Brett would say the same, however, let us not forget just how the Wepener clasp was earned, in most cases, it was earned the hard way with the Cape Mounted Rifles, Kaffarian Rifles and Brabant's Horse, what a wonderful medal, to actually have in a collection, just a good honest QSA to any of those units. Agreed. The combination of the action at Wepener and the auspicious name of the ILH is a wonderful combination. The penalty he received for being asleep at his post was quite severe. Presumably it was not a first offence? 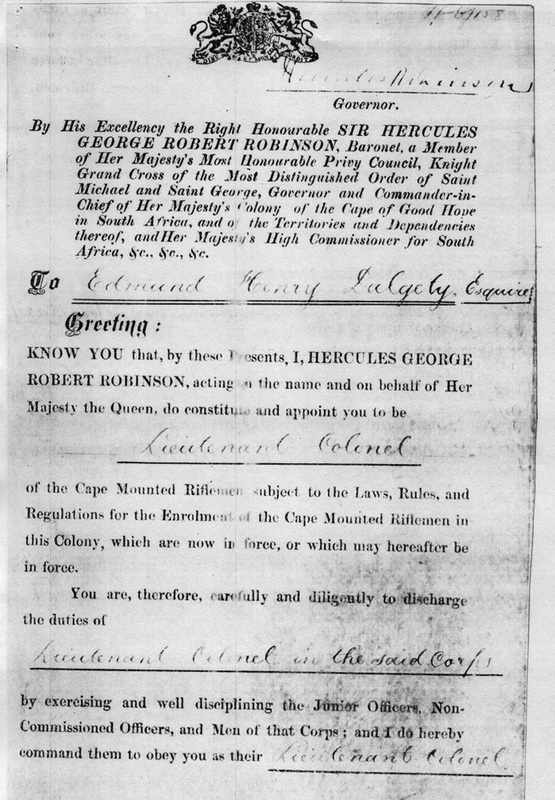 Collery's QSA is certainly worthy of more research, a chat with Adrian might well prove worthwhile here, as would a look in WO126 at Kew, the last time I looked at Imperial Light Horse attestations, was last year, for Brett and I ended up rather disappointed, as I could only find one set of papers, edwardian ones, for one of the two names he gave me, both original "fighting five hundred" men. In the 30 years I have had Dalgety's group I have not upgraded the ribbons, etc : it is exactly as I bought it ex Matthew Taylor Collection, Christies 19 July 1983. With it came a research file that included faded 1960's wet process copies of a number of original documents. On enquiry, Matthew said that they were with the group when he bought it from a dealer (Charles Lusted). Lusted told me that the medals and documents were brought in by a family member, but she did not want to sell the paperwork : hence the copies. He had no record after some 15 years of the vendor's name or address. Maybe they are still out there somewhere!! I cannot explain the steel ring suspension on the CMG. A very good long period of service with Dalgety's group, I see you have underlined the Cape of Good Hope GS medal, but, I am sure that is not why you bought the group? Given his position, it would be hard to get a better group for Wepener. Many thanks for adding these pictures. 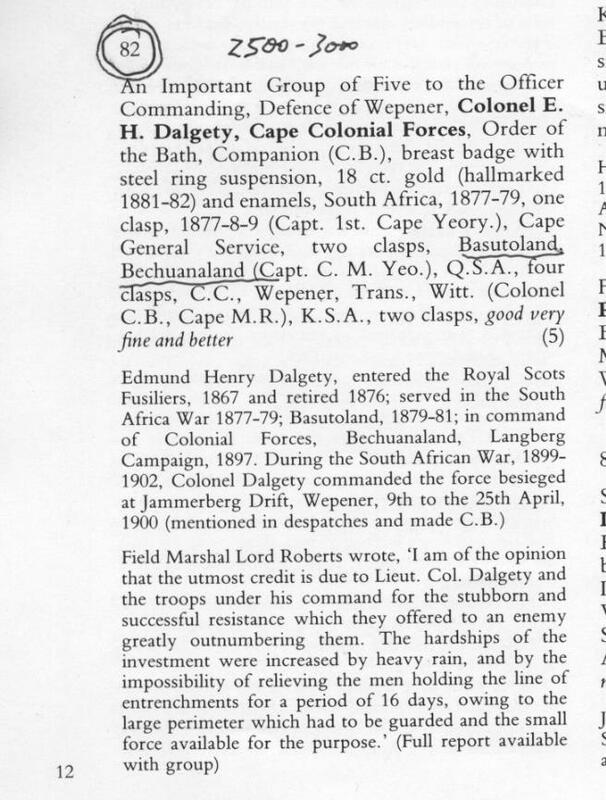 Edmund Henry's medals have been at the top of my wishlist for many years now both for the Wepenr connection and as an outstanding South African group.